Lucasfilm has teamed up with If Only to to raise money for local charity. Up for grabs are three screen used props as shown below. Funds from this sale will benefit Tipping Point's Emergency Fire Relief Fund, supporting low-income communities affected by the devastating fires in the North Bay. 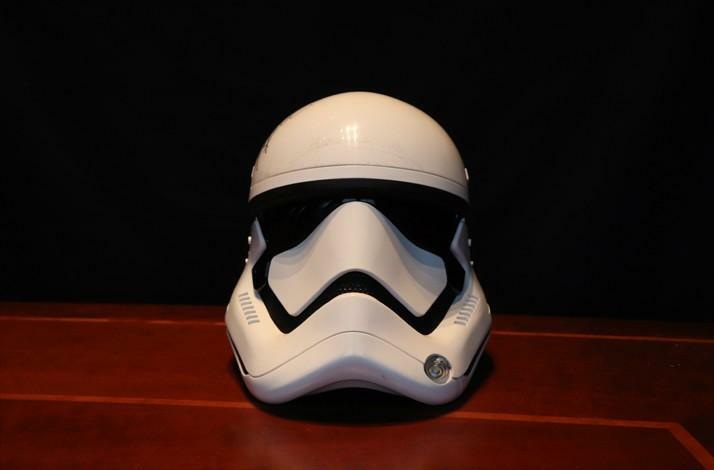 The Star Wars First Order stormtrooper helmet evokes the saga’s unforgettable characters and epic adventures. To celebrate the recent release of Star Wars: The Last Jedi, IfOnly is making available a rare helmet signed by J.J. Abrams and Kathleen Kennedy. This sleek, sinister, screen-used helmet was worn throughout the course of filming for Star Wars: The Force Awakens (2015). Featuring autographs from J.J. Abrams (director of The Force Awakens and the upcoming untitled “Episode IX” releasing in December 2018) and The Force Awakens and The Last Jedi producer Kathleen Kennedy, it is one of just a few items from the film that have been made available to the public. Funds from this sale will benefit Tipping Point's Emergency Fire Relief Fund, supporting low-income communities affected by the devastating fires in the North Bay. With a squawk as recognizable as Chewbacca’s roar, the porgs of Star Wars: The Last Jedi are the latest oddball furballs to captivate fans of the galactic saga. Lucasfilm and IfOnly have partnered to offer this incredible sculpture rendering of the alien bird signed by three of Star Wars’ biggest names. 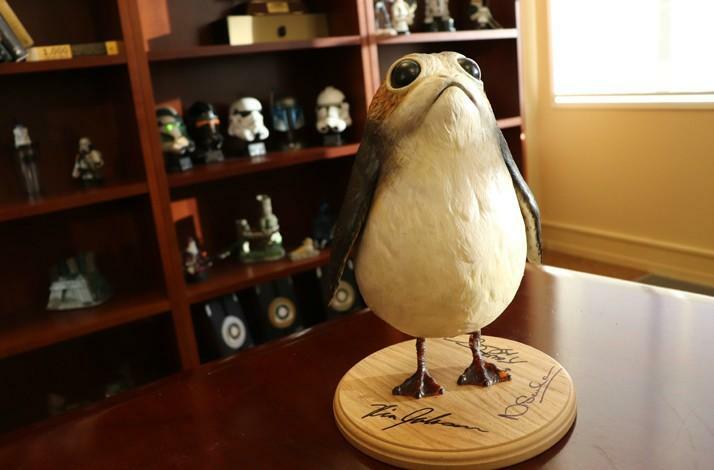 This limited-edition porg maquette is one of five ever made and features the autographs of director/writer Rian Johnson, producer Kathleen Kennedy and creature designer Neal Scanlan. With detailed etching and colors, the statuette showcases the doe-eyed creature that populated the sacred Jedi island of Ach-To. This particular porg was used as a film prop to line up shots in Star Wars: The Last Jedi and was used on several locations overseas and in-studio throughout the filmmaking process. The exclusive collectable arrives posed on a wood block with each signature in bold, black ink. Funds from this sale will benefit Tipping Point's Emergency Fire Relief Fund, supporting low-income communities affected by the devastating fires in the North Bay. 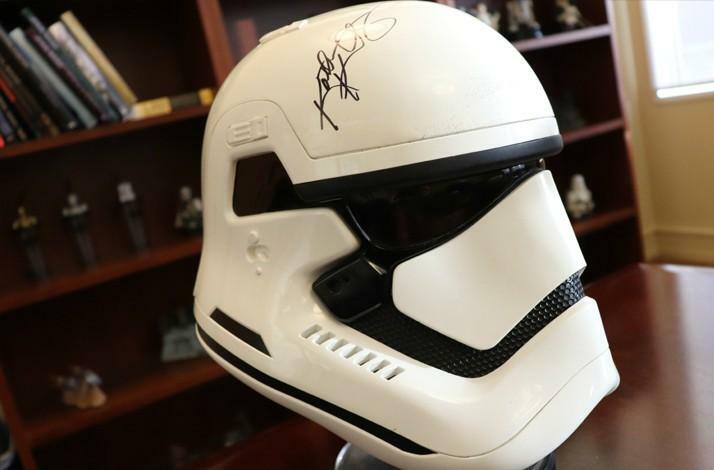 Own a unique piece of the movie’s history with this Star Wars First Order stormtrooper helmet signed by director Rian Johnson and producer Kathleen Kennedy. Immediately recognizable yet updated for a new generation, the First Order stormtrooper helmets from Star Wars: The Force Awakens perfectly capture the fearsome, cold aesthetic of the First Order. This sleek, sinister, screen-used helmet was worn throughout the course of filming for Star Wars: The Force Awakens, and has been signed by Rian Johnson, screenwriter and director of the The Last Jedi, and Lucasfilm president and producer Kathleen Kennedy. Funds from this sale will benefit Tipping Point's Emergency Fire Relief Fund, supporting low-income communities affected by the devastating fires in the North Bay. Black Series Porg Two Pack!